International Society for Knowledge for Surgeons on Arthroscopy and Arthroplasty conference takes place at Cloth Hall Court on 21-22 June. The ISKSAA conference will see almost 400 orthopaedic surgeons from across the world share knowledge and promote good practice to inspire the next generation of surgeons in arthroscopy and arthroplasty. This is the first time ISKSAA has held the summit at Cloth Hall Court and will provide a forum for international dialogue about arthroscopy, knee and shoulder surgery, joint replacement surgery and orthopaedic sports medicine. The scientific programme will emphasise evidence-based medicine, new surgical developments and promising basic sciences to showcase state-of-the-art orthopaedics. "The main focus of ISKSAA is to encourage knowledge sharing between surgeons from across the globe," said Sanjeev Anand, consultant orthopaedic knee surgeon, at Leeds Teaching Hospitals NHS Trust. "Many surgeons look to the UK as a model for high-quality health care and we are delighted to hold this important event in Leeds, a centre of excellence for healthcare in the UK." The conference will feature lectures, telecasts of live surgeries and workshops, headed by experts from the UK and across the globe, who will be presenting results from research and discussing the newest operative techniques. 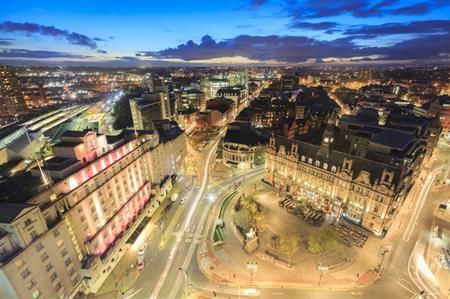 International delegates can also take part in a visitor programme before the main event, which will give them the chance to explore what Leeds has to offer. More than 30 UK hospitals will be involved in the conference, which includes 60 fellowships and visitors for 40 different nations. The orthopaedic academic unit at Leeds Teaching Hospital will conduct courses on advanced knee trauma and reconstruction techniques. State of the Industry: Associations Report out now!